Read Xmas Tree USA Review Before You "Deck the Halls"
Christmas is a time when we bring out our festive decorations and “deck the halls” to celebrate the season. From Christmas trees to huge wreaths for the door, it’s fun to add some Christmas cheer to a home or business. Of course, if you head to a local store, you may be disappointed with the local selections, the high prices, and the large numbers of holiday shoppers. If you’d rather purchase your Christmas tree and decorations off season or you just wanted to avoid the crowded stores, buying everything online is an excellent option. 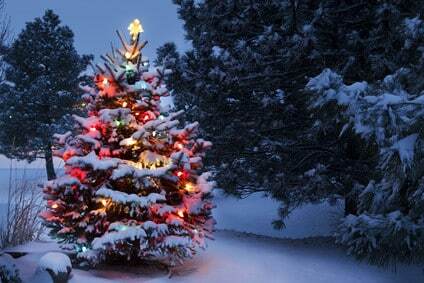 One company that offers you the ability to purchase your Christmas trees and other Christmas décor online is Xmas Tree USA. I’ve taken time to check out the Xmas Tree USA website, their social media pages, their Better Business Bureau page, and a whole lot of user reviews, providing you with an Xmas Tree USA review that will help you determine if this is the best company for your Christmas décor needs. Benefit #1 – Huge Online Selection – One of the main benefits of Xmas Tree USA is the huge selection they offer on their website. It’s a one-stop shop for artificial Christmas trees of all shapes, sizes, and colors. Hundreds of choices are available with just a few clicks of your mouse. Not only does the company offer a huge selection of Christmas trees, they offer many Christmas decorations and accessories to choose from, offering a one-stop shop for all your Christmas decorating needs. Benefit #2 – Low Prices and Price Matching – According to the company, they comb the web to ensure that they offer the lowest prices on the web. Xmas Tree USA also offers a price matching option. If you find a better price for the same item online, you can submit a price match form within 30 days of purchasing or before purchasing and the company will try to beat the competitor’s final price. The company even notes that they will meet or beat the price inclusive of discount promotions or coupons, offering you a great way to enjoy some great savings. Benefit #3 – Excellent Return Policy – Xmas Tree USA also offers an excellent return policy. If you aren’t satisfied with items you’ve purchased from the store, they offer a 30-day money back or exchange guarantee. They wave restocking fees for exchanges, but if you want a refund, there’s a 15% restocking fee. Keep in mind, you will need to get a Return Material Authorization Number for items that you want to return for repair, exchange, or credit. Benefit #4 – Great Customer Service – The service staff of the company can be easily reached, ensuring you get great customer service. You can contact customer service by calling the company or by sending an email, no matter your questions or needs. Benefit #5 – Special Sales and Coupons Available – Not only does the site offer low prices, they also offer great sales and coupons. You’ll find a special “Sale and Deals” section on the front page of their website. They also offer several coupons that you can use to save even more. Currently, they’re offering a 10% off coupon on all orders without a purchase minimum. Benefit #6 – Yahoo SSL Encryption – If you’re worried about the security of shopping online, Xmas Tree USA uses Yahoo Secure Socket Layer (SSL) encryption when transmitting payment information, financial services information, and other types of sensitive information. You’ll see a padlock icon when SSL transactions take place. Any financial you provide is encrypted and information provided is stored securely, which means you can shop with confidence. The pricing at Xmas Tree USA varies, depending on the items you purchase. However, the company does claim that it offers the best deals on the web, since they check the prices of other websites regularly to ensure they are offering the best deals. They also offer the price matching option, which is another way to save. Several payment options are available as well, including the ability to use Bill Me Later with PayPal. Currently, Xmas Tree USA ships to the United States and Canada. However, according to the company website, additional shipping may be required for customers that live in Alaska and Hawaii. While shipping information is only provided for the United States and Canada, the shipping information page encourages customers to email the company at *protected email* if you live in another country and you would like to make an order. After taking a look at the company’s website, their Better Business Bureau (BBB) page, and the comments of customers on social media pages, I have given Xmas Tree USA a 4.5 out of 5. One of the main benefits this company offers is the low prices and the price matching program, offering an affordable way to take care of all your Christmas décor shopping. The parent company has been in business for more than 10 years, the company has an A rating with the BBB, and the company offers a great guarantee and return policy. On the negative side, the company usually on ships to the USA and Canada and there were some negative complaints and reviews found on the parent company’s BBB page. One of the main benefits this company offers is the low prices and the price matching program, offering an affordable way to take care of all your Christmas décor shopping. The parent company has been in business for more than 10 years, the company has an A rating with the BBB, and the company offers a great guarantee and return policy. On the negative side, the company usually on ships to the USA and Canada and there were some negative complaints and reviews found on the parent company's BBB page.